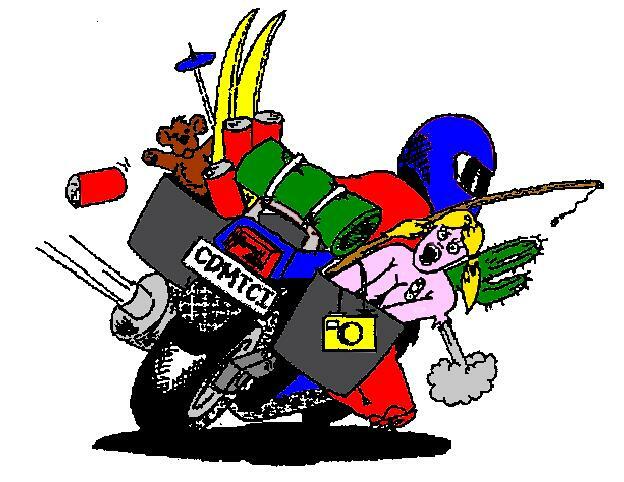 The Central Districts Motorcycle Touring Club is based in Palmerston North, New Zealand and has members throughout the Manawatu and the Horowhenua. The club was formed in 1980, by a group of riders with common interest in road touring, and this remains the principal interest of its current members. The club keeps in contact with these members through it's monthly club nites, and also via the monthly newsletter, "The Motorcyclist", which in addition to the usual libellous gossip contains full details of all upcoming rides and events. At least 2 rides are held each month, varying between day rides and overnight trips, as well as short afternoon runs, so there is a ride to suit everyone. More varied events are also held, including midnight and mystery rides, economy runs, BBQs, and other social events. In between these happenings, club members also find the time to attend many of the rallies and adventure rides held throughout the length of NZ. Other highlights of the CDMTC calendar are their annual Ride Manfield Days and the Christmas Toy run. Details of these are on their events pages. Club membership is a varied in ages as it is in the choice of bikes, with large touring bikes mingling easily with dual purpose adventure bikes and hard-core sports machines on most rides. New members are always warmly welcomed into this friendly club so if you're interested contact us.